At press time, Saturday's Powerball jackpot was sitting at $510 million - the eighth-largest in U.S. lottery history. Choose the cash option as the sole winner and you'd bank $324.2 million before taxes. If that kind of money has you daydreaming about buying a Jay-Z and Beyonce-like mansion, well, we're right there with you. I mean, real estate remains one of the best long-term investments you can make, so what's a few more zeroes, right? We've done some of the legwork so you can take your winning numbers right to the real estate apex, buying one of the most luxurious - and expensive - homes around the world. Who wouldn't want to own the Beverly Hillbillies house? This L.A. landmark known as the Chartwell Estate is on the market for $350 million (so you'll still have to take out a mortgage! ), but, for that, you get 10 acres, a "grand 18th-century French Neoclassical style" manse, and more than 25,000 square feet of living space, including "a ballroom, formal salon, and paneled dining room," said Curbed. 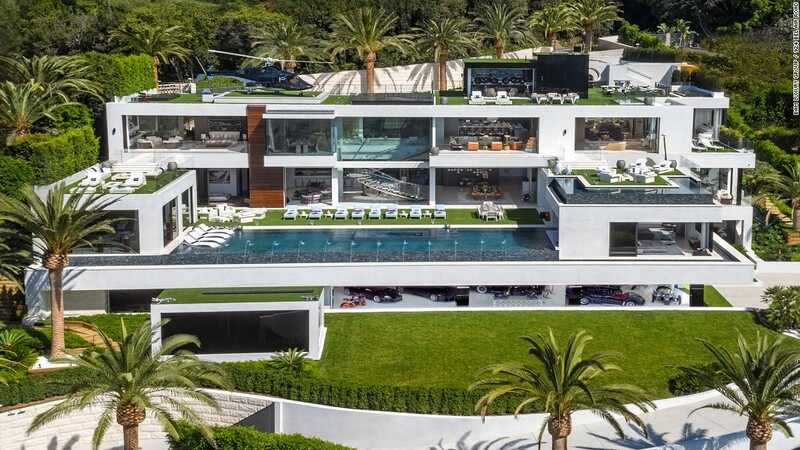 We couldn't not include another L.A.-area mansion, because this one is a spec house - a spectacularly outfitted spec house that is on the market for $250 million. "The extravagant 38,000 square foot property features 12 bedrooms, 21 bathrooms, five bars and three kitchens and comes complete with its own moat, four-lane bowling alley and an 85-foot Italian glass infinity pool fitted with a hydraulic theater-sized movie screen," said CNN. "These features alone may seem luxurious, but the property's developer, BAM Luxury Development group, have equipped the residence with a range of other unique fittings that ensure the home lives up to its opulent price tag. These include an art collection comprised of more than 100 carefully curated pieces including an interactive installation by British artist Dominic Harris and an oversized Leica camera by Chinese sculptor Liao Yibai, valued at $1 million." This $175 million, 63-acre waterfront property on Long Island Sound, "known as the Great Island, has been owned since around 1900 by the family and descendants of William Ziegler, an industrialist whose fortunes were attributed to baking powder," said REALTOR Mag. It features a stone mansion, a 21-stall horse stable, its own polo field, a private beach and dock, a boathouse, and several additional structures dotted on the property. Prefer The Hamptons? Perhaps this 14-acre compound featuring a 12,000-square-foot main house and more than 700 feet of oceanfront spread across three separate lots is to your liking. For $150 million, you get 360-degree water views, and a "world-class trophy location" with indoor pool, tennis court with tennis house, and two golf greens with golf houses. Perhaps Manhattan is more your speed. For a mere $85 million, you could own this eight-bedroom, 10,000-square-foot condo that comes with just a few bells and whistles. "The full-floor apartment comes with a million-dollar yacht (and docking fees for five years), as well as two Rolls Royce Phantoms, a standing weekly dinner date for two at Daniel Boulud's restaurant Daniel for one year, court-side season tickets to the Brooklyn Nets for a year, a live-in butler for one year, a mansion rental in the Hamptons for a summer and a private chef," said CNBC. This European-inspired estate in exclusive Morristown, NJ features 15 scenic acres and a 30,000-square-foot custom home. 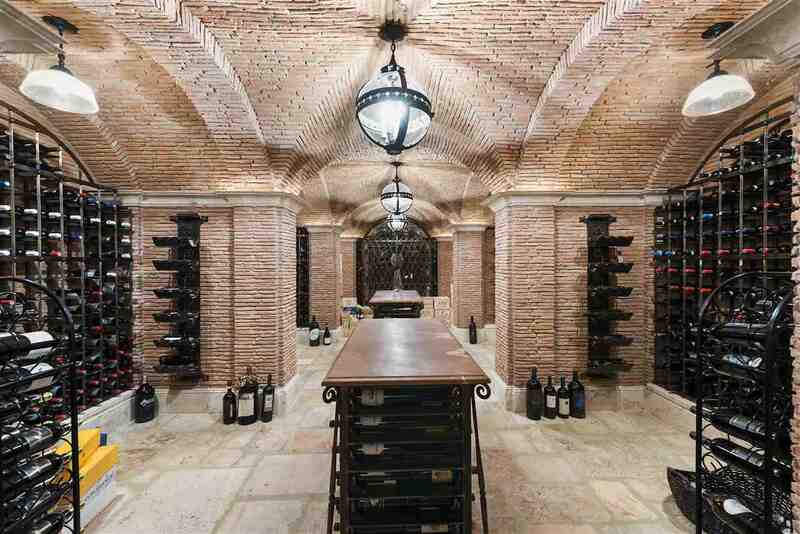 Some of its more over-the-top features include a full regulation tennis court, an 80,000-gallon swimming pool, three outdoor kitchens, 13 imported fireplaces from Italy and Portugal, an elevator, Pietra Cardoza and Calacatta marble, a "museum-quality wine cellar graced by Roman brick and Jerusalem limestone floor," and a catering kitchen. Even better: It's a bargain at $39 million. Get in touch with your inner rancher with this 6,900-acre luxury ranch in Western Colorado. For $149 million, you get Discovery Channel creator John Hendricks' former property, "a 14-bed, 12-bath mansion complete with an observatory, guest house, helipad, air strip and other amenities," said the Denver Post. It also features a 22,000-square-foot main house, "scenic desert views and unmatched privacy," plus "grazing land for cattle as well as fishing ponds and horse pastures." "Internet pioneer Jim Clark is selling Il Palmetto, his landmarked Billionaires Row mansion, with an attention-grabbing price tag of $137 million," said the Palm Beach Daily News. "The estate measures 5.14 acres and faces about 340 feet of beachfront east of South Ocean Boulevard, with another 360 feet on the Intracoastal Waterway. With Italian Renaissance-style architecture, Il Palmetto was designed in 1930 by noted society architect Maurice Fatio," and includes features such as a 20,000-bottle wine cellar, an exercise room and a spa. How does 15 acres on the North Shore of Hawaii sound? "The property known as Hale ‘Ae Kai sits on a bluff overlooking the Pacific, with a private path leading down to Secret Beach," said Mansion Global. The house itself was built in a Balinese-inspired style with "four pavilions connected by covered walkways," and also includes a pool, caretaker's house, and "an operating farm that grows palm, coconut and citrus trees." This one-of-a-kind estate is perfect for the big spender who wants to show off their unique digs. "Fashion designer Pierre Cardin's Palais Bulles (Bubble Palace), a complex of interconnected, terracotta-colored domes on the French Riviera at Théoule-sur-Mer near Cannes, is up for sale," said The Guardian. 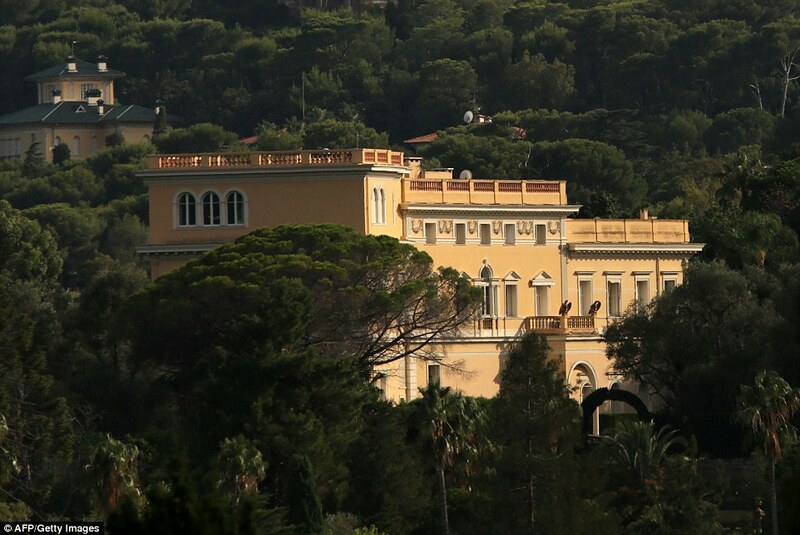 Its asking price of $410 million is "one of the highest asking prices ever for a European property." 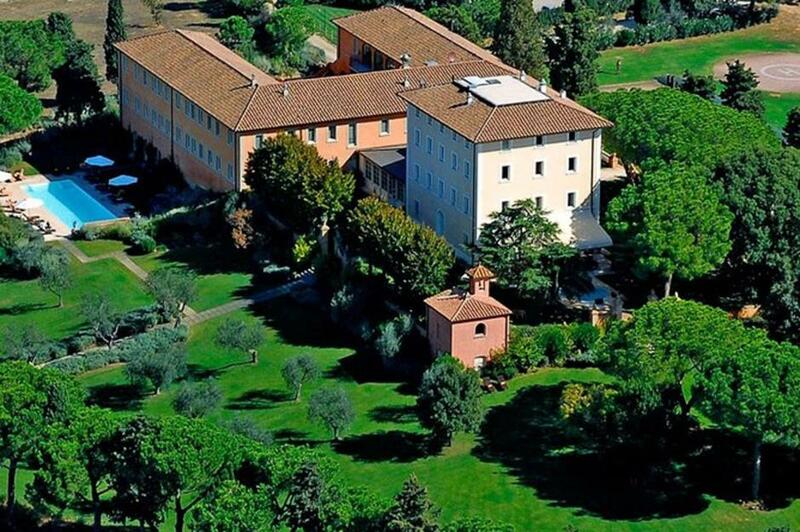 "This historic Tuscan estate was once home to Leopold II, Grand Duke of Tuscany," said Love Money about this swanky Grossetto, Italy villa. "Housing scores of well-appointed rooms, the sprawling villa was extensively renovated in 2003 and has since been used as a five-star hotel. Priced at $70 million, the property "a farmhouse and barn that have been repurposed as guest accommodation, period features, and "two large pools that face a private golf course and vineyard." At a whopping $125 million, this Barbados beachfront mansion measures 13,000 square feet on four levels with 20 bedrooms and 24 bathrooms and encompassing two acres of land, "and has its own spa, coffee shop and health club," said Point2Homes. "It is being sold partially furnished and features, for example, marble and mahogany closets. It this wasn't enough, there are also dedicated boat berths at the nearby Port Ferdinand marina."